One of the most popular worship movements over the last 10 years since their inception in the late 2000s, this music and the prophetic movement that arose from Redding, California has become such a poignant and emotive force that has changed the landscape of the worship music genre in all its facets. Equally lyrically challenging and compelling as any other group like Hillsong UNITED or even the music borne out of the annual Passion Conferences (that launched careers from artists like Chris Tomlin, Matt Redman, Crowder and the like! ); Bethel Music, helmed by worship leaders Brian and Jenn Johnson, and their team of other artists like Amanda Cook, Cory Asbury, Jonathan & Melissa Helser, Josh Baldwin, Steffany Gretzinger and Kristene DiMarco, to name a few; have become a household name. Known primarily for the annual albums they release, Bethel Music have been known for delivering encouraging and empowering songs, from ‘Forever’, ‘Reckless Love’, ‘Come to Me’, ‘You Make Me Brave’, ‘Chasing You’ and ‘This is Amazing Grace’, to ‘Take Courage’, ‘It is Well’ and ‘No Longer Slaves’. While sometimes I reckon the movement can release albums too frequently, and thus some songs not connect with the general public than others, on the whole Bethel Music have revolutionised the culture of worship music today, alongside other artists like Crowder, All Sons and Daughters, Paul Baloche and UNITED. 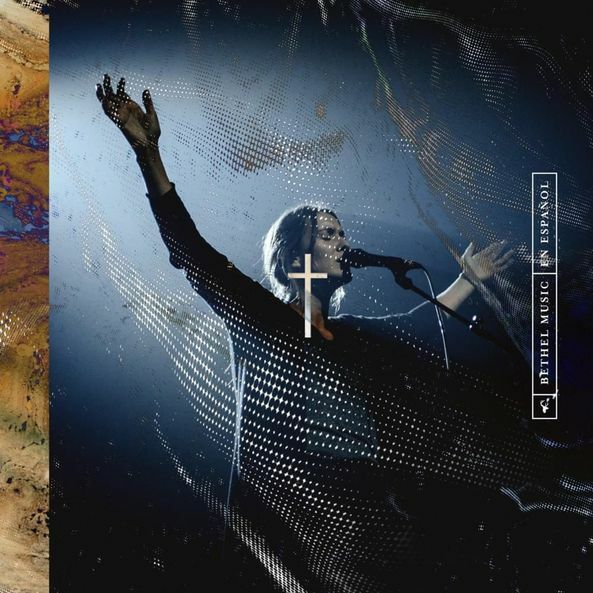 Even if we may not enjoy their whole catalogue of music, there will nevertheless be some songs on each album that we enjoy on a regular basis- so I guess it’s fair to say that when the movement decided to release their first Spanish album, titled Bethel Music En Espanol in early February 2019, I decided to take notice. Standing at 14 tracks, we are given a quasi-best-of album of sorts, and while some songs are seemingly more familiar to myself than others, on the whole this Spanish effort by the band is enough to bring in listeners of music from another culture, those who may enjoy a lot of Spanish music, but who may not have heard much worship music at all. (Note: this album releases in mid-February, and I haven’t listened to the album at all, aside from the few songs that were made available to download via iTunes. I’ve researched the names of the songs when I’ve typed in the Spanish names into google translate). So what can I say about a 14-track album where I know most songs, but don’t really understand the words? I guess the same that I previously said about other international language albums (see album reviews of Paul Baloche’s Uw Naam, Jesus Culture’s Jesus Culture Em Portugues and Danny Gokey’s La Esperanza Frente a Mi). Uw Naam, Paul Baloche’s Dutch album full of radio hits that spanned across the years of his career, released in 2015, and Danny’s Spanish album (a rework of Hope In Front of Me) released earlier in 2016, and Jesus Culture’s Portuguese album in late 2016. While I didn’t understand a word of Dutch, Spanish or Portuguese, I still enjoyed the reworked songs very much…I guess it really helped to know all the lyrics of all the Paul Baloche and Danny Gokey songs in English prior to listening to their Dutch and Spanish albums respectively, as well as knowing some of the Jesus Culture English songs prior to listening to the Portuguese album. Yet, this new album by Bethel Music in 2019 is a little foreign to me. Just like Jesus Culture previously, many of the songs that have been reworked haven’t been on radio a lot, or even promoted online a lot- songs like ‘Be Enthroned’, ‘Have It All’, ‘Spirit Move’ and ‘Jesus We Love You’ haven’t necessarily been on repeat on my iTunes playlist of late, nor online much either. So when I do listen to these songs come February time, hopefully I’ve heard the English counterpart at least once, so I can be semi-familiar with the melody when it is such with rich and fervent passion in Spanish! Let’s just say that for me, Bethel Music is somewhat like Hillsong- their most famous songs I know, like indeed in this album “Stand in Your Love”, “Living Hope”, “Pieces”, “Ever Be”, “Take Courage” and “No Longer Slaves”, yet apart from the very famous ones, much of this track list is unknown to me. Nevertheless, this album, if it does one thing for me, is this- revisit Bethel Music’s catalogue before I review any more of their best-of albums in the future. Nevertheless, I did enjoy the songs that were available on iTunes very much, and I’m sure anyone who enjoys the Spanish language will appreciate the collection of songs as well when it officially releases in a few weeks, maybe even more than me. Still, Brian and Jenn and the rest of the team have choreographed the songs (at least the ones I’ve heard) very well, with the songs I’ve heard, presented to us in such fervent urgency and poignant honesty. The Spanish speaking community (Spain, Mexico, most of South America) will thoroughly enjoy this album, as will fans of Bethel Music and their previous music. Since I fell into the second category, I jumped at the chance at reviewing this album collection, even though I don’t know any Spanish (aside from studying it in high school. So with artists like Danny Gokey, Jesus Culture and Paul Baloche releasing international albums of late, what does it say about artists re-recording albums in another language for a re-release? That music is indeed universal and ought to be enjoyed by anyone, regardless of whether we speak a certain language or not. Bethel Music’s new Spanish project, though not complete in terms of which songs are given the ‘Spanish’ treatment (I would’ve loved to have seen songs like ‘This is Amazing Grace’, ‘Come to Me’, ‘Chasing You’, ‘You Make Me Brave’, ‘This is What You Do’, ‘Closer’, ‘Furious’ and ‘God I Look To You’ given a new perspective with a Spanish version); is nevertheless a unique representation of what worship music could sound like if sung by someone else in another country. Bethel Music En Espanol is a great album if you want to hear more of Bethel Music and their songs (though in another language), inclusive of their most recent hits ‘Living Hope’, ‘Stand in Your Love’ and ‘Promises Never Fail’, all from their most recent album Victory. Well done to the Bethel team for these renditions, even though I don’t understand the language at all. Here’s hoping this album reaches the Spanish community; and encourages them in their walk with Jesus.